An elegant expression of Sauvignon Blanc from a combination of warm-climate St. Helena and cool-climate Coombsville fruit, Blueprint 2011 is barrel fermented in French oak at cold temperatures to preserve the fresh citrus zest and lemongrass touches. There are a myriad of flavors, including ripe peach, geranium, lime and true varietal boxwood essence. The cool growing season adds a bright acid structure to the Meyer lemon cream texture. 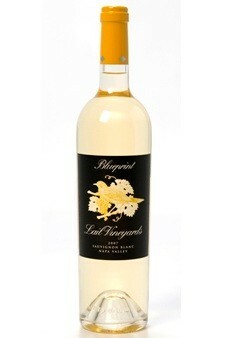 Due to a very small crop in 2011, quantities are limited, but quality is exceptional.